Dr. Erin Bartlett began her career in dentistry as a dental assistant in 2001 after graduating from Cambridge College. After 2 years as an assistant, she returned to school for more training at the Community College of Denver to become a registered dental hygienist. She spent 9 rewarding years practicing dental hygiene, however she wanted to return to school for a new challenge. 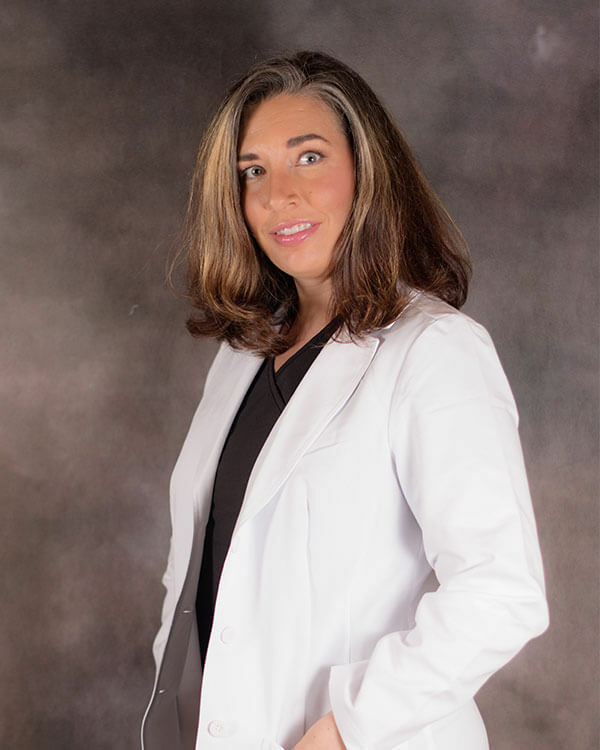 While married with 4 children, Dr. Bartlett completed her Doctor of Dental Surgery in 2017 from University of Colorado School of Dental Medicine. Before dental school Dr. Bartlett attended University of Colorado at Denver, where she completed her bachelor degree in biology. During dental school, Dr. Bartlett served as founding member and President of the Student Professionalism and Ethics Association and was awarded the Outstanding Student Leader Award from the American College of Dentists Denver Chapter. Dr. Bartlett prides herself on working with a gentle touch, works hard to make patients feel comfortable and relaxed during procedures. She loves getting to know people as she helps with their dental concerns. It is a great feeling for Dr. Bartlett to see a patient happy with their treatment and their smile. Dr. Bartlett is dedicated to improving her skill through continuing education, reading updated research literature and consulting with colleagues to learn new techniques. She has recently completed advanced courses in oral surgery, implant restoration, pediatric oral sedation and Invisalign. She looks forward to putting her new skills into practice in the state of the art environment at Newkirk Dental Center. Dr. Bartlett stays busy while away from the office by spending time with her children, Wyatt, Zeya, Hudson, and Pemberly , as well as her husband, Keith. The family stays busy with sporting activities for the children and spending time at Kaw Lake. Dr. Bartlett also enjoys quilting and gardening.